The CW has released the official synopsis for The 100 season five today. 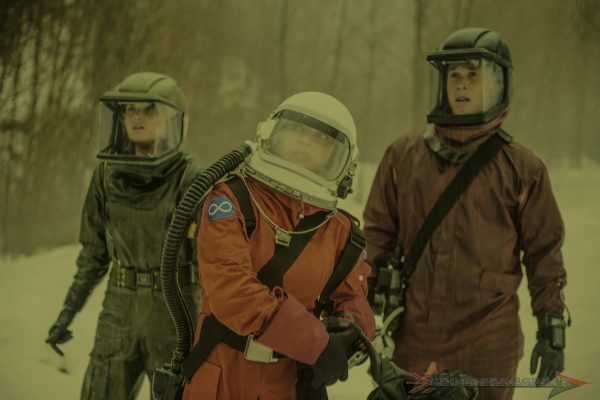 The popular sci-fi series was renewed back in March, and with an optimistic fan outcry. You can see the full description below. For four seasons, The 100 fought to survive. This fight shattered them, set them against each other and took the lives of their closest friends. The fourth season has introduced our heroes to the harsh truth that the human race is doomed to face an unbeatable enemy: the nuclear reactors remaining on Earth have melted and are burning the atmosphere. Our heroes had very little time to prepare for the worst, with all possible solutions disappearing almost as quickly as they were able to reach them. With literally a countdown to the end of the world, our heroes will be forced to go to unimaginable places to stay alive – with or without others. In what is left of Praimfaya , they must start over, And with the fifth season our heroes will have to assess their responsibilities with the new place they call home and for future generations that will inhabit it. Can they start over and celebrate what is left, or have the weaknesses of human nature cost them their only chance to rise from the ashes? Based on the Kass Morgan book series, THE 100 is from Bonanza Productions Inc. in association with Alloy Entertainment, Warner Bros. Television and CBS Television Studios with executive producers Jason Rothenberg and Leslie Morgenstein (“The Vampire Diaries”). The 100 season five is set to premiere in the 2018 mid-season on the CW. The season four finale, Praimfaya, will air this Wednesday. In case you missed the trailer, you can view it below.